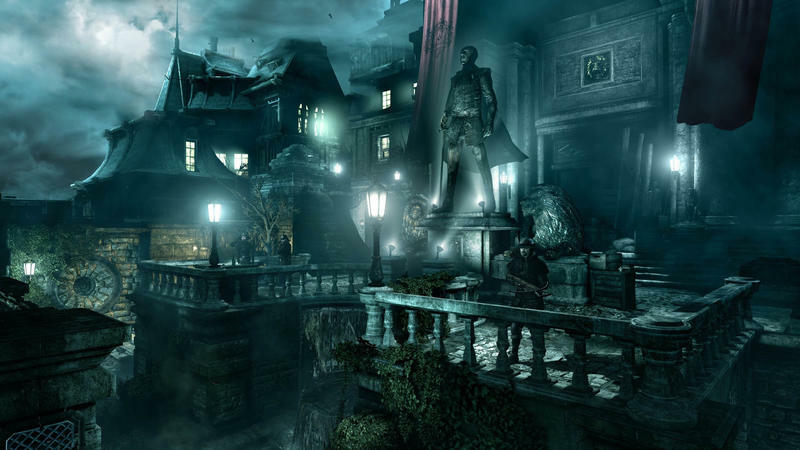 In 2014, Thief is making a comeback. Square Enix’s booth at E3 is playing host to Eidos Montreal’s reinvention of this classic franchise. The newest game isn’t a prequel or sequel, it’s a brand new adventure. In the eyes-on preview we were treated to, Eidos Montreal took Garret, the Master Thief returning in this reinvention, into a gray and cold floating compound in order to steal a diamond. We were told that Thief will support any type of play in its campaign. You can try and go ghost and remain undetected, or you can be aggressive and murder every guard between you and your prize. We saw a blend of both, though the driver mostly leaned on stealth to get around. The environment looked solid in the demo. But, I wish they chose a level that offered up a little more than just a spectrum of gray and black. The game space felt incredibly bleak and lacking. Even if that’s by design, I would have loved a more vibrant display for the next-gen console experience. During the early bits of play, it seemed like Garret had all sorts of options in front of him for moving from space to space on the way towards his goal. We were told that different surfaces would cause different aural effects, so jetting through water, for instance, would cause way too much noise. That gameplay element pushed the driver to sneak quietly, heading to higher ground when possible. Things narrowed down exceptionally after Garret attained his prize. We went from relatively open ended thievery and sneaking into a highly scripted run through a collapsing world. The shift seemed off and odd. As the world caught ablaze and crumbled around Master Thief Garret, the demo driver took time to stop and grab all the shiny loot and glowing gold in the environment. That’s one of the driving motivations for Thief, after all. Stealing stuff is fun. 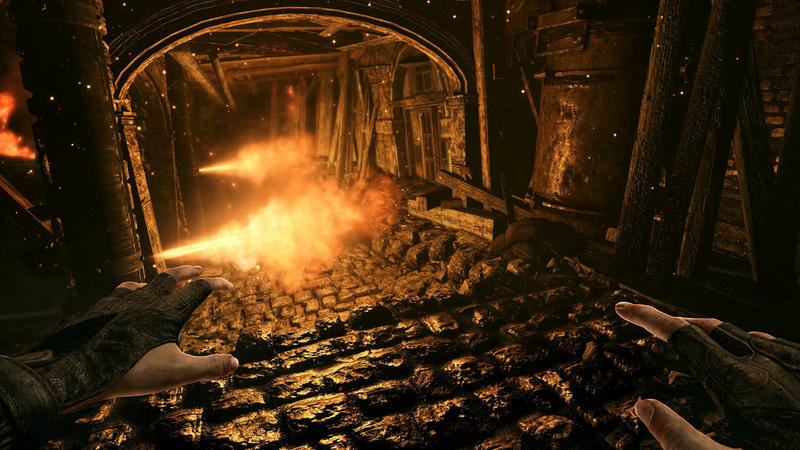 I guarantee the developers at Eidos don’t want this comparison being made for Thief; however, I genuinely feel that the need to compare is evident. 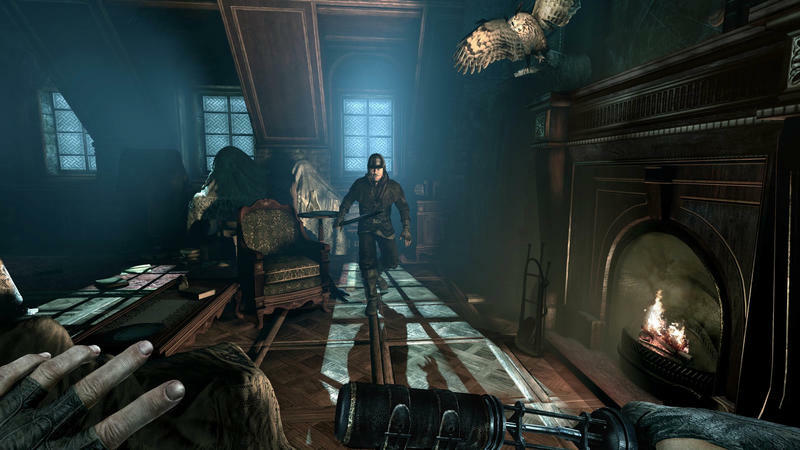 Thief shares a lot in common with the recently released Dishonored. 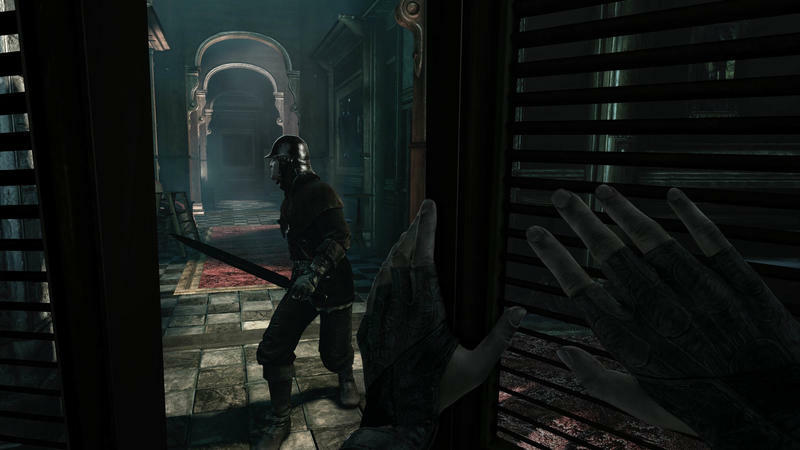 The first-person sneaking, the gray, foggy aesthetic (at times) and the UI elements (the weapon wheel, for instance) all feel very much like something from Dishonored. Sure, Thief has been around a whole heck of a lot longer. It’s just that this reinvention feels very similar to Arkane’s efforts in Corvo’s adventure. A quick final note before we wrap things up: Thief crashed during this demo. This was a pre-alpha build running on the PlayStation 4. It offered up a few moments of screen lag and hitching, but that’s to be expected from the game’s current state. We did experience a glitch that pushed the demo driver to reset the game wholesale. Don’t consider that a deal-breaker. These live demoes hit glitches, it happens. It happened to Thief. 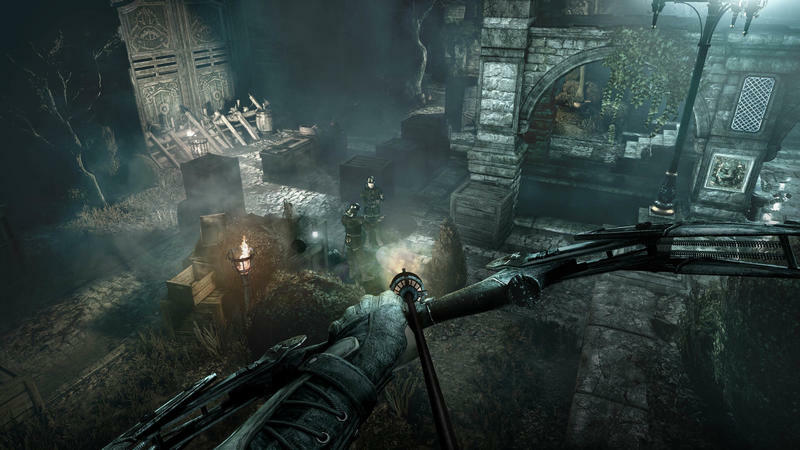 Thief is set to hit the PlayStation 4, Xbox One, PC platforms sometime in 2014. We’ll have more on the game as it comes.